Looks good – in my view prosecco goes with EVERYTHING! .-= Gourmet Chick´s last blog ..Scandinavian Kitchen =-. Does look good Linda, especially liking the look of that cheese – very unusual. .-= Dan´s last blog ..Matching Prosecco with food makes my head hurt. =-. Hmm nice dish, I was toying with adding cheese to my salad too, Isle of Wight Blue but when I checked it out at a cheesemongers in Leadenhall Market it was double the price to what I originally paid for when I was away there earlier this year. Erm, went slightly off tangent there! .-= Danny´s last blog ..Take This Bottle (And Just Walk Away) =-. * love prosecco – as you might expect! * Prosecco for me with baked figs in prosciutto splashed with balsamic vinegar; oh and chiefly with company, great giggle juice! .-= Grethic´s last blog ..Black and White =-. Mmmm… That looks a mighty fine ‘sort of’ salad. A chilled glass of Prosecco and a hunk of rustic bread, would make for the perfect ‘posh’ peasants lunch. Lovely. I made a similar type of beetroot salad with rocket instead of cabbage. I am loving the autumnal salad recipes at the moment, as its so nice to get away from stews and casseroles for a couple of days a week. I’ve just been given a large cabbage so I might try this next, sounds amazing. Never tried prosecco but it sounds like I should give it a try! 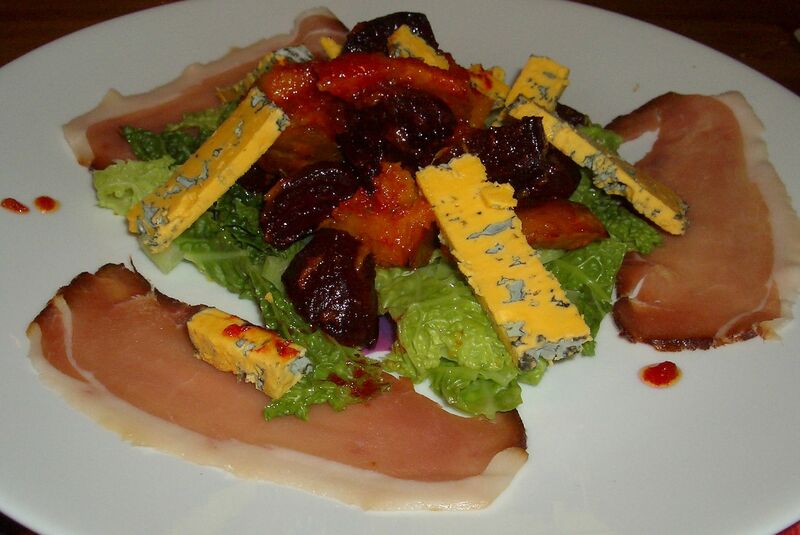 .-= Lauren´s last blog ..Pomegranate and Beetroot Salad =-. .-= Jan´s last blog ..Down the pan =-.